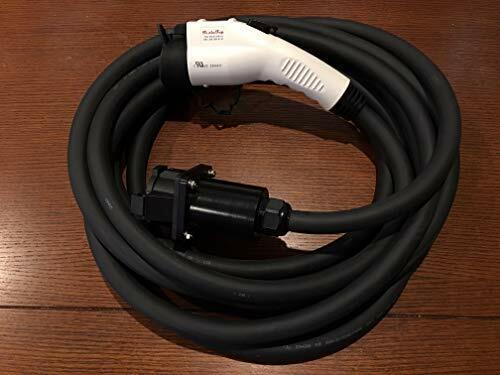 Home Electric Vehicles EV Charging Why doesn’t Tesla install CHAdeMO or ComboChargingSystem charging stations? According to Tesla, the company mission is to hasten the adoption of electric vehicles, and in general the renewable energy ecosystem. Hence Tesla is developing what are regarded as extremely awesome cars that happen to be electric, have managed to build a manufacturing asset base allowing them to approach a 500,000 vehicles per year sales rate, have built a globe-straddling fast charging network (Supercharger), and have swallowed up what used to be Solar City to have solar panel manufacturing to go along with their energy storage products. Under one corporate entity Tesla has collected product lines that cover a large portion of the energy consumption spectrum. But lets get back to the corporate mission – hastening the adoption of renewable energy technology. Company management are quick to point out that does not mean Tesla is against other companies also entering that market. Instead they are quite happy to have that result, since all companies should convert to the renewable energy ecosystem. All that is very virtuous of Tesla, and is perhaps why Tesla enjoys such a high degree of consumer excitement. There is no way to describe the long lines the morning of March 31, 2016 when a couple hundred thousand people put down a $1000 deposit on the Tesla Model 3, a car none of us had yet seen because the official unveiling was not until that night. Those of us who did that were excited enough about Tesla to put down money on a car we’d never seen. That’s a lot of faith, and can be attributed to the Story of Tesla that the company has set this virtuous goal of hastening the clean energy revolution. But let’s get back to the question at the top, and ask a different one. 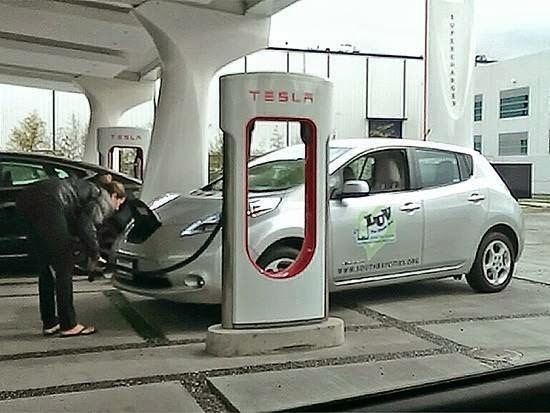 Does building the Supercharger stations using Tesla-proprietary charging plugs hasten the clean energy revolution? Tesla has in its hands the DC fast charging network everyone else wished they could access. I, owning a Kia Soul EV, look longingly at the Supercharger network and dream of places I could drive. 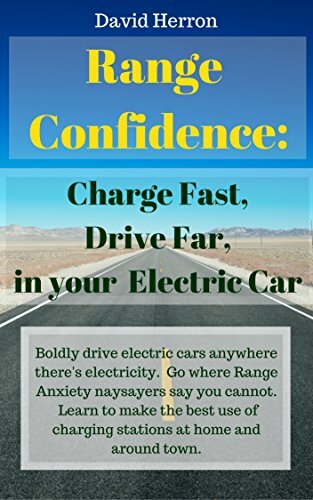 But neither the CHAdeMO nor the Combo Charging System charging network is built out to the same degree, nor does it offer the same high charging rate. 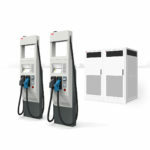 Yes there are 150 kiloWatt CHAdeMO and CCS charging stations – but they are small in number. And there isn’t a single corporation building out a comprehensive CHAdeMO/CCS network but a hodge-podge of corporations building out disjointed networks. And then there is Tesla building a unified network of Supercharger facilities. Owners of Tesla cars can seamlessly drive coast to coast with relative ease. In other words – the situation Tesla has created encourages folks to buy Tesla cars. Tesla has the best DC fast charging network among the options. This results in sales of Tesla cars being several times bigger than the rest of the electric vehicle market. Therefore the Tesla-proprietary Supercharger network is good for Tesla, right? It helps drive customers to Tesla products over the other products. But let’s again return to Tesla’s corporate goal — hastening the clean energy revolution, and welcoming other companies to convert to offering clean energy products. Supposedly Tesla welcomes the other car makers efforts to build electric cars. Does using a Tesla-proprietary plug in the Supercharger network help the overall goal of hastening the clean energy revolution? 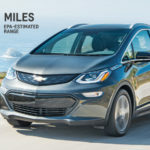 What if the current situation hinders electric car adoption? As it stands there are three DC fast charging standards (four if you count the system used in China) – Tesla Supercharger, CHAdeMO, and Combo Charging System. This disunity in fast charging standards causes confusion and pain among electric car owners. What if Tesla offered CHAdeMO and ComboChargingSystem services at Supercharger facilities? Tesla could easily do this since there are plenty of manufacturers for both. 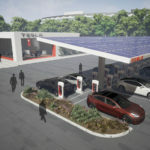 Tesla could charge a fee to use those stations, just like eVgo and ChargePoint and Blink and ElectrifyAmerica and so on all charge fee’s for charging. It would give Tesla a whole new set of customers that Tesla currently does not have access to because we cannot afford to buy Tesla cars. Offering CHAdeMO and CCS charging at Supercharger facilities would put weight behind Tesla’s claimed corporate mission to hasten the clean energy revolution, and would put weight behind the virtuous position that Tesla is happy for other automakers to build electric cars. Why doesn’t Tesla do these things? 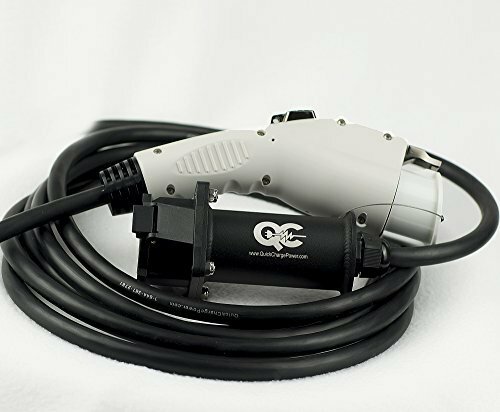 “Tesla Proprietary Supercharger” Every time I describe Tesla’s charging connector that way I hear several objections come up in my mind. That Tesla opened their patents, that Tesla offered the other automakers to use the Supercharger network, etc. 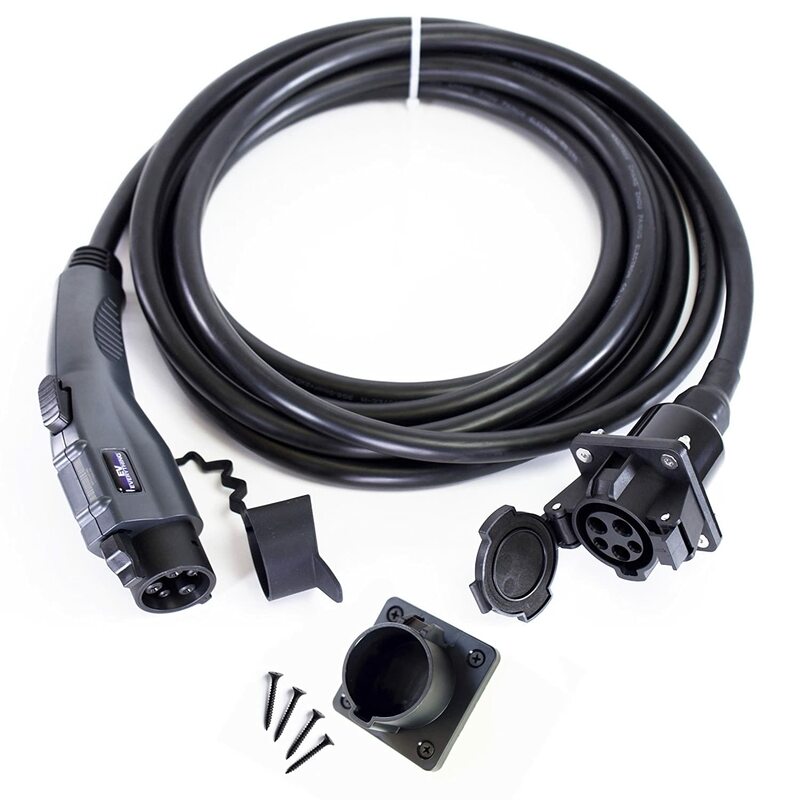 Yes Tesla did all those things … but none of that changes the proprietary nature of the Tesla charging connector. At the time Tesla knew they needed ultra-fast (for the time) DC fast charging, the only choice was CHAdeMO since the CCS protocol was not finalized until 2012ish and compatible charging stations did not start rolling out in significant numbers for a couple years. 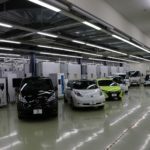 For whatever reason CHAdeMO was unacceptable to Tesla, and CCS was unavailable in the time frame required by Tesla, and both were limited to what Tesla saw as a paltry 50 kiloWatts. Therefore when Tesla needed to deploy Supercharger, they could not use an industry standard, they could not wait for the industry standard to evolve. Tesla needed 90 kiloWatt charging speed at a time others offered 50 kiloWatts. Therefore Tesla had to develop their own standard. It is true that Tesla opened their patents to be used royalty free. That does not mean Tesla open sourced their patents, the phrase “open source” has a specific meaning. And that does not mean other companies can proceed with implementation, because a patent is not enough for implementation. It is true that Tesla offered other automakers to use the Supercharger network, and that none have taken Tesla up on this offer. It’s my long-held position the other automakers would be foolish to do so since from their position that would be giving credence to an upstart. The other automakers want to preserve their position, and not help an upstart. “350 kiloWatt CCS” Yes, I know that the Combo Charging System folks, and for that matter the CHAdeMO folks, have designed and are deploying higher speed DC fast charging systems. That’s great. But to what degree are these higher speed stations being deployed, and to what degree are the cars compatible with these higher charging rates? It’s a kind of chicken-and-egg situation. The charging networks might be reluctant to replace the existing 50 kiloWatt stations with 350 kiloWatt stations because of the lack of cars that can handle 350 kiloWatt charging, and the car makers might be reluctant to develop 350 kW capable cars because of the lack of 350 kW charging stations. 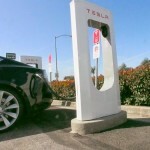 At the same time Tesla has begun upgrading the Supercharger network with 250 kiloWatt capability. It seems that they’ll go ahead and convert their entire network. CHAdeMO, Fast Charging, SAE DC Fast Charge, Supercharger, Tesla Motors. Bookmark.